I've been cheating on you. You are no good for me and I have decided to move on. I realize that this may seem kind of sudden, after all these years, but we both know it is the right thing to do. I know I have tried to leave you before, but always came running back. This time is different. You misrepresented yourself. You had me believing you were a healthy alternative to regular soda. Even though I knew deep down that these were lies, I still rationalized my love for you. My brain thought I was happy with you, but my body was not. It is time to let you go. I have a new love. I gave up my Diet Coke addiction on January 1st and I have recently found a suitable replacement. 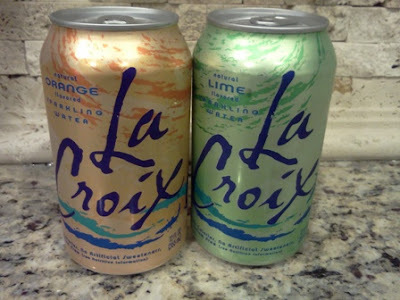 La Croix! This stuff is great! No chemicals, no artificial sweeteners, no calories, no caffeine! 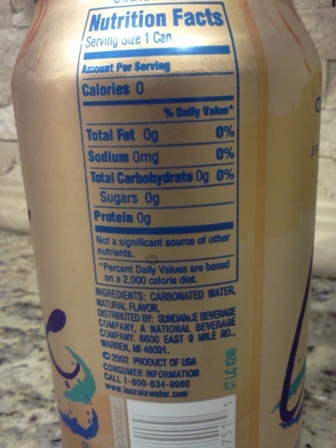 The ingredients are simply carbonated water and natural flavor. It is the perfect refreshing drink when I am craving a soda. I have tried two flavors so far, lime and orange. Lime tastes like an extremely light Sprite and the orange flavor sort of tastes like a very light Sunkist. I may be using the words "tastes like" loosely. I must tell you that this is not a sweet drink, it does not have any sugar or artificial sweeteners, so it does not taste like soda. It tastes like what it is, light naturally flavored sparkling water. I picked it up in the soda aisle at my local Kroger and I according to their website it is also available at Target and Sam's Club. For me, it is the perfect substitute for a soda. It comes in a can so I can pop the top and hear the familiar fizz, just like my old love, Diet Coke. It is light, refreshing and cool, without all the harmful additives. Sparkling water got me through my last pregnancy and I am now addicted to the stuff. The plain one tastes a little like a really light beer. If you can find it, the kroeger brand is way cheaper. I am SOOOO addicted to Diet Coke....as in, I drink probably 10 cans a day. I am going to keep coming back and reading your page for motivation!